I was complaining the other day about the lack of good wine books being published these days. It turns out that I just wasn’t looking hard enough. True the great stalwarts of recent wine publishing have either given up, Faber & Faber, or severely pruned their list, Mitchell Beazley, but quality new titles are still appearing often from little-known publishers. Take the University of Nebraska press for example. I, and this probably says more about my ignorance of this great institution, would have thought that they would be content to publish biographies of 19th century spinster poets but on their list is Palmento: A Sicilian Wine Odyssey by Robert V. Camuto. I’ve been to Sicily twice and both times been disappointed with the distinctiveness of the local wines I tried; though often good they could have come from Tuscany or California. If only I’d read this book before going. Palmento examines the revival in traditional wine-making from indigenous grape varieties. The author has a rare gift for describing these wines: ‘It too seemed like a wine from another time: a rustic combination of black earth, fruit and rocks that tasted as though it were made by a man who indeed rode on a mule.’ Doesn’t that sound more interesting than another glossy cabernet? This book’s other great asset is its cast of characters. Towering over them all is Marco de Bartoli the outspoken champion of old-fashioned marsala who died recently. In 1995 the carabinieri shut down his winery ostensibly for making a vino da tavola that was too strong. As this is Sicily the truth behind the raid was more complicated. His outspoken opinions on other producers had made him some powerful enemies. ‘My father is not a diplomatic man’ his son Sebastiano is quoted as saying. Palmento is an ode to Sicily, Sicilians and their wines. Camuto celebrates the traditional but is also refreshingly unsentimental about why people gave up the old ways – they were very hard work and did not make any money. It is understandable that people want to make modern wines that can be easily sold internationally. Thank heaven for the obstinate people making something different. My appetite for the more idiosyncratic end of Sicilian wine whetted, I got myself invited to the Natural Wine Fair in Borough market. I was going to write a whole post on ‘Natural Wines’ but frankly I’m a bit bored of reading articles advocating or criticising this movement. I’m anti-movements in general, a relic of my childhood horror of ‘joining in.’ At the fair were some of the producers featured by Camuto including COS who age some of their wine in amphora and Arianna Occhipinti. Sadly the Sicilian tables were at the far end of the market and by the time I reached them my tasting technique of not spitting had left somewhat tired and emotional. Combine this with my lack of Italian meant that my attempts to engage with the Sicilians were unsatisfying for both parties. And then I managed to knock my glass out of my hand, it broke on the floor and I had wine all over my trousers. It was time to go home. Nero di Luppo, 2009, COS – Chewy deliciousness, good acidity, refreshing and drinkable. This is 100 % Nero d’Avola and probably the most ‘normal’ of the COS range. 10 SP 68 Rosso, 2009, Arianna Occhipinti – This is a blend of frappato and Nero d’Avola. ‘God this is nice’ I wrote just before the glass dropping incident. My favourite wines at the Fair came from a Sardinian producer called AA Panevino. I have put a big tick on their page and written ‘magical.’ Try the snappily-titled: Kussas Intrendu A Manu’ e Manca 2009. Made from cannonau (grenache), it’s sweet, tannic and hedonistic. All are available from Cave de Pyrene. The Sicilians at about £10 a bottle and the Sardinian somewhat more. This entry was posted in Wine articles and tagged Faber, Nero, Nero d'Avola, Sicily. Bookmark the permalink. Would you be able to share a few of your favourite books on wine, perhaps those of a more autobiographical bent? I spied Kingsley Amis’ Everyday Drinking in the LRB Bookshop this past week and am still wondering if I should have bought it. And while I have you, could you recommend any websites which provide detailed reviews of individual wines? If we were faced, say, with the last minute decision to buy a recent vintage champagne, is there anywhere one could go to get a detailed, trustworthy review? 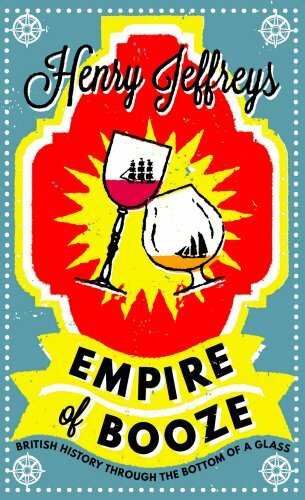 Everyday Drinking is very funny and great insight into the mind of the Kingsley Amis. It’s not however terribly helpful as a guide to what to drink. He is more concerned with how to get drunk as cheaply as possible and get one over men at drinks parties. If you are intersted in learning about wine Jancis Robinson’s Wine Course is still a great start if a little out of date. If your interest is piqued I would recommend Patrick Matthews -the Wild Bunch – and Andrew Jefford – the New France. Both great writers as well as winos. For regular recommendations I would sign up to Tim Atkins’ newsletter: http://www.timatkin.com/ I also like Victoria Moore in the Telegraph. * who is indeed** sweet, tannic and hedonistic. It’s a fine word indeed.